After a quadruple heart bypass Brendan Kennelly felt so thankful to God that he wrote this poem before he left the hospital. Birthday celebration for Brendan Kennelly was held in the Abbey Theatre on the afternoon of Sunday 23 October, from 3pm – 6pm. 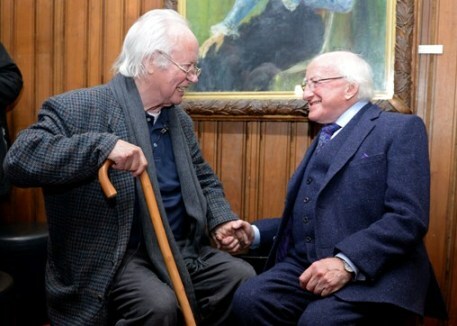 Family, friends and fellow artists joined Brendan in an afternoon of words, songs and acclamations of one of Ireland’s greatest poets who is now 80. Back to the spectacular celebration in our National Theatre. The cast of luminaries included Listowel natives Dr Bryan McMahon, Jimmy Deenihan and Sean Ahern . Councillor Mannix Flynn , in the course of a brilliant tribute said that Brendan , “ . 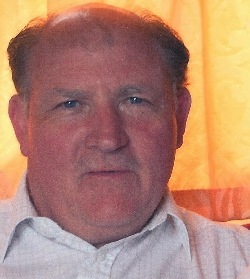 . . was the first Kerryman I ever met who wasn’t a guard.” Some of Brendan’s poems were read by Aisling O’Sullivan, P.J. Brady and Katie Donovan. Fr. Pat Aherne accompanied his troupe of dancers on the fiddle as they performed “The Molyneaux Blackbird.” World famous photographer John Minihan was clicking away on his “non-digital “ camera. Minihan’s photos of Beckett are some of his best known, one in particular is described as one of the greatest photos of the twentieth century. William S. Burroughs once referred to Minihan as "a painless photographer". The great man himself ,who now walks with the aid of a stick, was helped on to the stage by Jimmy Deenihan. But if you closed your eyes and listened to the musical voice you would be transported back to the sixties . . . or even 1954 and that lost All-Ireland. You could almost see the Gaelic football rivalery evaporate on the Abbey stage as Dubliner Mary Black presented Ballylongford’s favourite son with a red rose. The grand finale to a wonderful tribute to a great man. Still on matters Kerry/Literary; “The Best of Billy Keane”, published BY Ballpoint Press, will be launched by Stephen Rea, in the Shelbourne Hotel, Dublin on Wednesday 02nd November at 06.30 PM . 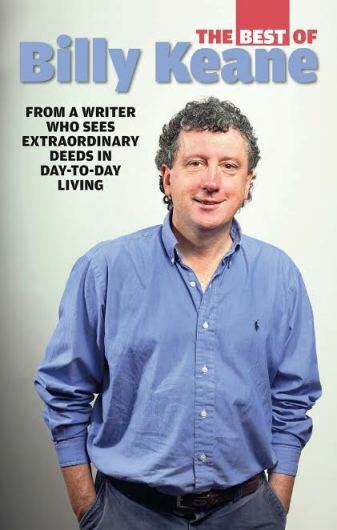 The Listowel journalist, author wit, after-dinner speaker and all- rounder writes his columns and books with a wonderful mix of innocence, forgiveness and understated perception. He has been described as an ”. . . observer at the front door looking out on middle Ireland and beyond." Be it a family sadness, a quirky day in the pub or a national issue of suicide ( he has written articles on suicide which, in my opinion, have saved lives.) or gay marriage, Keane’s inimitable style is always insightful and thought-provoking. I have absolutely no interest in sport. You are wondering why I put that in. But I read Billy Keane’s columns on the subject because like all his writing, his commentary is often arrived at following a journey on the road less travelled - he approaches subjects from different directions before fleshing out his views with uncanny empirical understanding. He writes not to preach but as the discerning sinner turned confessor. Billy finds extraordinary deeds in day-to-day living and shares them with an equal mix of humour and empathy.